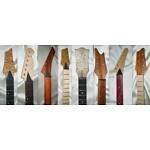 Custom built guitar necks. Made with exotic and domestic woods. Need something special? I can build custom headstocks from your picture. Mail me with your needs. I also do quality woodturnings made from exotic and domestic woods. Decorative wood bowls, wood vases, hollow forms, wood goblets.